• Are you naturally fast or slow as a runner? • What kind of racing do you like? Training is important for a runner if he or she desires to improve their speed or to be able to run for longer. One can jog for the rest of one’s life without ever increasing speed or endurance. Training, or running in particular ways, will increase both speed and endurance. This is an especially important point for new or newer runners. When most people join a club and then take part in training programs they will notice that they get gradually faster and stronger. Even with the correct training it can take two years to develop the legs of an athlete at the peak of his or her abilities, so the correct training is vital. In my case, and even in my mid forties, I was able to knock three minutes off my five mile race time over my first two years with the club, from 34 minutes to 31. (Now, in my late fifties, getting a sub 36 is wonderful!) This was using a mixture of long and tempo runs, track sessions, and recovery runs. The principle behind training is very simple: stress the body then rest the body. As you repeat this formula over time your body will adapt better to what is required of it, ergo, you get better at running. There are several variables involved in finding the correct training routine, and I hope you will find something of relevance in what follows. Are you naturally fast or slow? All of us are born with a mixture of fast twitch and slow twitch muscles in our legs. These contract at different speeds, as their name suggests. I’m not going to go into the science here, Google it if you like. The important point for training purposes is to know whether you have more fast, more slow, or more or less the same amount of these muscles. People with more slow twitch make excellent long distance runners while people with more short twitch make faster short race and even sprint runners. Some folks are in between. You will know from experience what direction you lean in. You may prefer short fast races or you may prefer marathons and super marathons, all depending. Training programs should take all of this into account and hence are different. I have always been a short twitch kinda guy, and if I’m near you in the last two hundred of a road race I’m pretty sure I can catch most people. 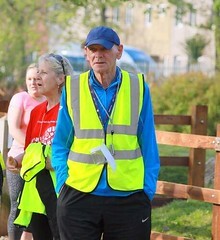 As against this I have done two marathons (yes, only two in sixteen years of running), when aged in my mid fifties, finishing both around 3.30, so even with a leaning to shorter faster races I’ve tried them all and so should you. What kind of racing do you like? Another important feature of training is what kind of race do you like. Once can choose from road racing, cross-country racing, track racing, and hill or trail running. Training is different in each case. Most runners like to do a selection of two or more of these, while specialising in one. 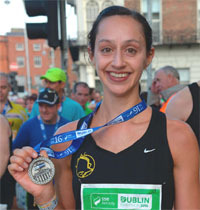 Road racing is what it sez on the can, with distances from three kilometres to super-marathons. Many of these races are sponsored by athletic clubs attached to the AAI. 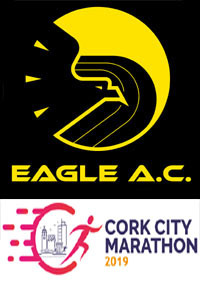 Others are organized by the Cork Business Houses Athletic Association, where membership is organized by teams raised from the company one works for, and these have the best prize structure of all road races. Many other races are organized by local charities and sometimes by companies whose only interest is in making a profit from the race. Cross-country racing is largely organized by the AAI, and these also organize annual road races. AAI races are limited to mainstream running clubs such as Eagle, and are organized into county, provincial and national competitions. Track racing, sometimes combined with other athletic activities such as the javelin and the discus, is a summer sport involving races at the various classic distances, from 100 meters up to 10,000 meters. These are held on athletic tracks. 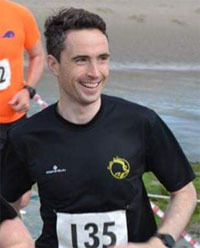 Cross-country racing involves running through fields and bogs along a marked course and is confined to the winter running season. 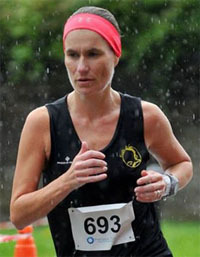 Finally, trail running involves racing on rough trails through hills and woodlands, sometimes involving racing up and down mountains, such as the annual Carrauntoohil race. There is an association which organizes these races. 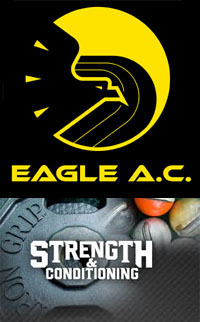 Eagle AC pays for the use of the CIT track in Bishopstown between 7 to 8 every Tuesday and Thursday. Eagle have the use of lanes 3, 4, and 5 only and members are reminded to keep all other lanes free for other users, using 3 and 4 for speed work and 5 for recovery and warm down. 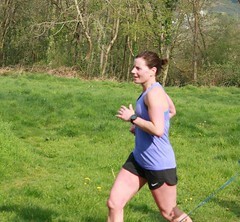 The Tuesday session tends to be the main session, with attendances of thirty to sixty or more runners, depending on the season (busier in summer). Thursdays usually see ten to fifteen in attendance. One can do one’s own thing on track or join in one of the pre-organized training sessions. 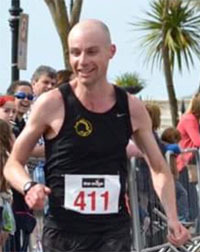 These involve mentors offering specific training routines, often with a particular target race in mind, such as a ten mile road race or the Ballycotton five series. Such sessions are often advertised on the club newsgroup via email. Other sessions will be offered on the night or organized amongst runners on the night. Usually all sessions are announced at the end of the warm up session each Tuesday. In the last few years the club has also offered a series of three kilometre track races every few weeks, and these can be used as indicators of general progress as they are timed accurately. The value of track training is that one can use the track markings to facilitate specific training plans involving distances from 200 meters up to a mile or more. Each lap is 400 meters long so four laps are 1,600 meters, a mile being 1,608 meters. Adjustments should be made when running on lanes three and four to give the actual distance ran, as the above distances are based on lane one running. A handy rule of thumb for lane three running is to add 2.5 seconds per lap or 11 seconds per four laps. In other words, running a complete lane three ‘mile’ gives a time from which one must then subtract 11 seconds to get the actual mile time. If you finish the ‘mile’ in say six minutes thirty seconds your ‘real time’ for training purposes is 6 minutes nineteen seconds. 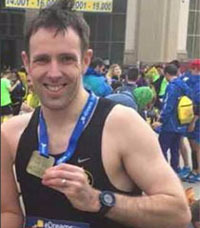 There are as many training routines as there are days in the year but generally shorter distances, such as 200 and 400 repeats, increase speed in shorter races while longer distances, such as kilometre or mile repeats, increase both speed and endurance in longer races, up to half marathon distance. Combinations of both short and long repeats are often used to advance fitness and speed across the entire running spectrum. One of the most valuable and simple sessions involves running five by 800 meters (two laps) at maximum with a jog lap recovery, with at least one mile warm up with some sprints, and cool down after. 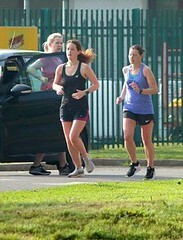 Newer runners should seek advice from club mentors at track or online as to suitable training routines. All training does not occur on the track and many members do not use the track regularly. The club has had a long tradition of Sunday morning long runs, such runs being considered a major part of many training programs or just generally as keeping ‘race fit’. In more recent years such runs may be organized on Saturdays as well. While these are often advertised in the online newsletter some club members prefer to organize these among their own ‘buddies’ by word of mouth. Generally the club would ask all members organizing such long runs to advertise these on the newsletter if possible. Such long runs can range anywhere from ten to twenty miles or more, depending on the type of training plan they are part of, and one need do only part of the run if desired. Normally a pace is advertised for these, say a twelve mile race at 8.30 pace, but newer members should note that such paces are sometimes forgotten in the heat of the day, and should feel free to request that the advertised pace is kept to, at least until the last few miles of the run, when the heroes can safely go off. Such runs are meant to be as inclusive as possible, but if your going to attend one do try to match the pace your able for with the pace as advertised. 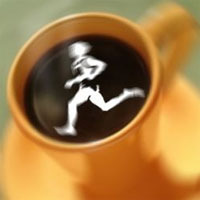 In addition to the normal weekend long runs the club organizes a Saturday morning ‘coffee run’ every now and then, usually featuring several possible paces led by pacers. This is 11.4 miles in distance and ends in a local shop, where cake and coffee are consumed in moderate quantities. 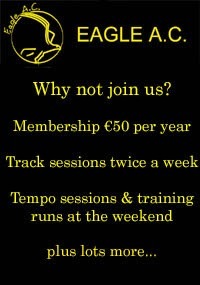 Some club runners do not use the track but avail of other training venues. The UCC Farm on the Curraheen Road is one such. This is a grass circuit which, if one uses the spectacles route (two loops linked by a short straight middle section), gives a distance of 2.2 miles per lap on soft grass. 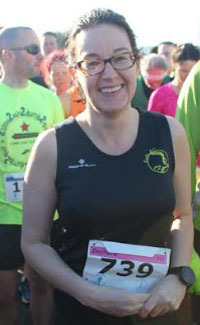 This facility has always been very popular with runners of all shades, and one can often meet fellow club members here at any time during the week. For many years among Eagle members there was a tradition of meeting up here early on a Sunday morning and doing four or five laps with the group, dropping in and out as one wished, although in more recent years one is more likely to meet Togher, the Barrs or Leevale here rather than Eagle members. Having visited several times over recent Sundays however one will almost always meet somebody from the club here on Sunday mornings. Another worthwhile training venue is the Castle Farm running circuit in Blarney Village. This costs €3 per visit and is a three kilometre circuit whose grass is cut once per week. The course is hilly in places and very scenic, and there is a driving range and cafe on the site. Another wonderful training base is the Regional Park in Ballincollig, which has two marked running circuits of 3k and 1.5k and is a mixture of grass, gravel and tarmacadam. 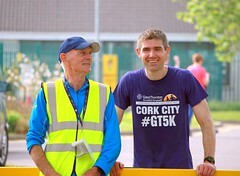 Cork’s five kilometre Parkrun is held here every Saturday morning at 9.30. The Atlantic Pond / Monkstown footpath, a scenic route along a former railway line, is another, as is the Oldcourt wood paths and trails between Rochestown and Garryduff. These are just the main options, there are others. Such venues can be adopted for training routines, as indeed can footpath or road anywhere, by the use of a Garmin watch to measure approximate distances. For example, the cricket field in the UCC Farm is just a little over 400 meters in perimeter. Where possible grass should form as large a part of a training program as possible, especially for older runners, as it reduces the negative effects of impact. Another very valuable form of training is hill repeating. This involves a warm up followed by a sprint up a steep hill for 200 to 300 meters, then a slow jog down to the bottom, repeated as many times as desired, normally 8 to 12 repeats, again followed by a warm down. This training uniquely increases both speed and endurance. The UCC Farm is an ideal venue for this kind of session as there is just such a hill on the left of the Curraheen Road a few hundred meters beyond the roundabout which leads to the Farm. The mixture of grass and hill here is unbeatable. Yet another form of training best done on grass is fartlek, basically running at different speeds without stopping. An average session might involve running say 200 at a slow jog, 200 at a moderate tempo pace, and 200 sprinting, all over a period of 30 minutes to one hour, and with warm up and warm down. A tempo run on the other hand, is a run at distance, say six to eight miles, at a pace perhaps 90% of corresponding race pace. • Always take at least one rest day each week. There are plenty who ignore this advice but injury often follows. In my opinion one rest day per week as part of a full training routine is sensible. • Every four to six weeks take an easy week, just a few recovery runs and no long runs or speedwork. • Always warm up before any kind of speedwork or distance running. Warm up = start easy. Warm down after speedwork to get rid of the lactic acid build up in your legs. • Stretching is important. There is a big debate in running at the moment as regards which is better, static stretching (stretching standing still) or dynamic stretching (basically hopping, skipping and jumping for want of a better way to describe it, stretching by movement). Personally I prefer static stretching, but a mixture of both is probably best. Google this subject and the different types of stretches involved. Stretching is important before speedwork, but stretching is more important after all kinds of runs. Running tends to tighten our muscles and so we need to loosen these regularly. Properly loose and conditioned muscles act as shock absorbers and help prevent joint and tendon problems. On the same subject change your running shoes every 600 miles or so (keep a running diary) and consider racing in racers and not your regular trainers for better performance. • How many miles should you run each week? Varies by individual. When I was at my peak I ran 45 miles per week. At one time I went up to 50 and my body told me clearly that it did not like this, I got tired and cranky and felt miserable, so I went back to the 45. 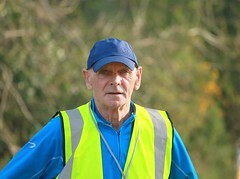 In more recent years, as an older runner, in full training I do between 30 to 35 per week. At the same time I know other members who do 70 or more per week. It really is up to each individual, but don’t cod yourself into thinking that 15 miles per week can make you race fit. 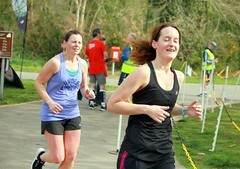 Anything below 30 miles per week does not help with race fitness. In other words, you will not achieve your potential by doing low mileage. • Injury is natural among runners. Stretching helps prevent this but everybody gets injured at some stage. Whether its shin splints, achilles tendonitis, plantar fasciitis, hamstring problems, IT band problems, there is one for everybody in the audience. (As I sit at the computer writing this my IT band is grumbling). Injury is more likely the more one trains. The key advice is that, if in doubt, seek professional help. This can mean regular physiotherapy but in general one is better off with a physio with a sports therapy or better a running background. However, my own experience may be relevant here. In the early years I got IT band and achilles tendonitis problems regularly and used to get professional help to fix these. Over time I came to recognize the oncoming symptoms and found that certain stretches prevented the problems from developing. Then I was sidelined with Plantar Fasciitis for six months but in time learned how to fix this as well. I have not had need to visit a professional for five or six years now, and regularly self-treat injuries with the appropriate stretches, ice (a wonderful healer, by constantly refreshing the injured area the blood flow removes damage and promotes healing) and sometimes Ibuprofen. I do not recommend this, merely offer it as my own experience. Under no account however ignore an injury as it will only get worse. The following is the type of training plan I used when at my peak. It was not designed for any particular training distance, for which more targeted plans might have been required, but I used this as a general training purpose program for running races from five kilometres to ten mile races. It worked. I offer it here as an example of a training plan, not necessarily to be followed in detail. This usually involves a mixture of one long distance run per week as well as some track work, recovery runs and especially tempo running at some distance, all over a build up period of three to four months. The club has a wealth of experience in this area as we have tended to lean towards having more distance runners than short race runners over the years, and newer members should inquire if they require a detailed training plan.